Alice Paul, the great Suffrage March organizer didn’t want them. The sight of 22 Black women from Howard University was disruptive to her cause. And Southern Whites certainly had no use for them. They were considered the inferior race, prime targets for lynching, discrimination and real violence against women. The time: March 1913. The day before the inauguration of President Elect Woodrow Wilson, who certainly had NO use for Black People or uppity women who did not know their place. Despite all odds and the racial tension of the era, they marched anyway. They held the banner for the organization they had just formed two months earlier. Little did they realize that their act of courage would signal an ultimate victory that gave ALL women the right to vote by 1920. Now 100 years later the 22 gave way to over 300,000 members of Delta Sigma Theta Sorority. Armed with that historic sense of courage, my organization marched 15,000 strong on March 3, 2013 down the very Washington Streets that the original 22 walked for the cause. I was there on March 3rd, and this show is dedicated to the 22 who made the difference. My name is Carole Copeland Thomas. 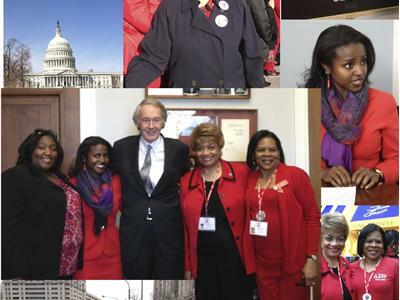 I am proud member of Delta Sigma Theta, and this is Focus On Empowerment!